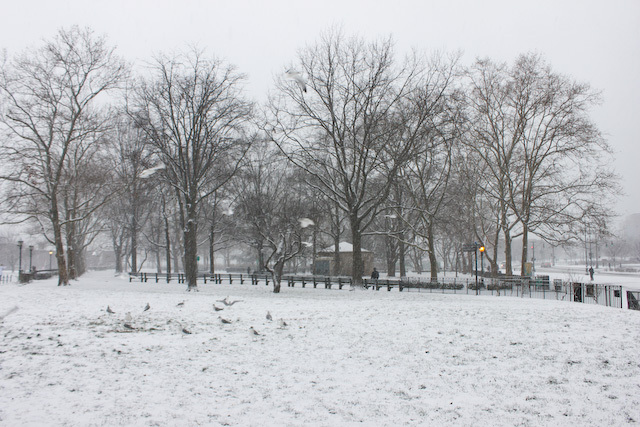 I wished for snow, and now I have gotten some. Quite a bit of it actually. 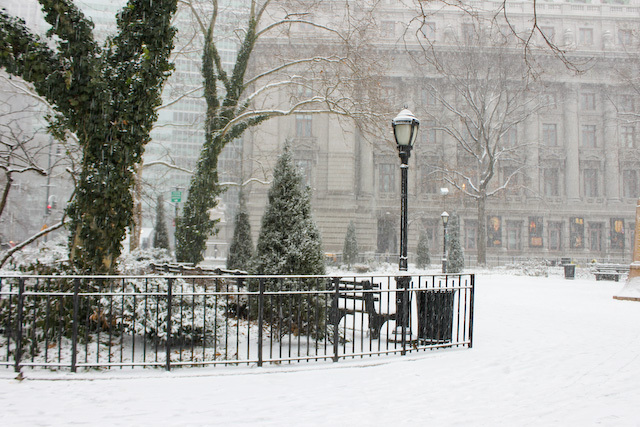 This is Battery Park, covered in a fresh coat of white snow. 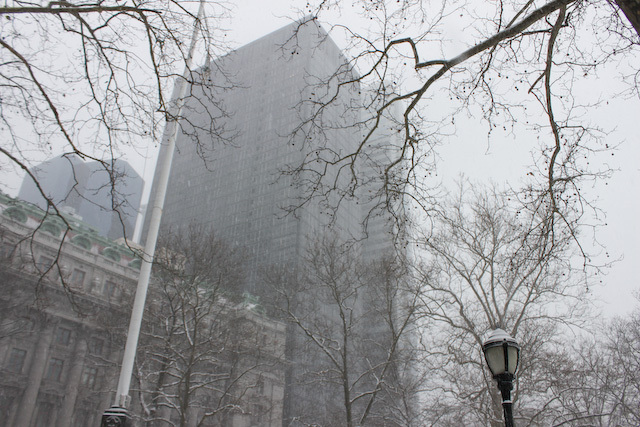 As the day progressed you saw less and less of the tops of the buildings, because of the snow flurry. Now, I can’t even see the Manhattan skyline from my window anymore. I wonder if the subway will run properly in the morning, when I have to go to work again? 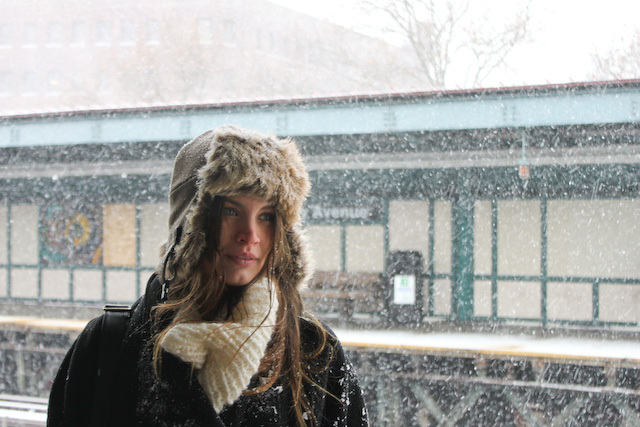 This entry was posted in Environment, Natural Beauty, NYC, Out & About and tagged blizzard, Environment, NYC, snow. Bookmark the permalink.